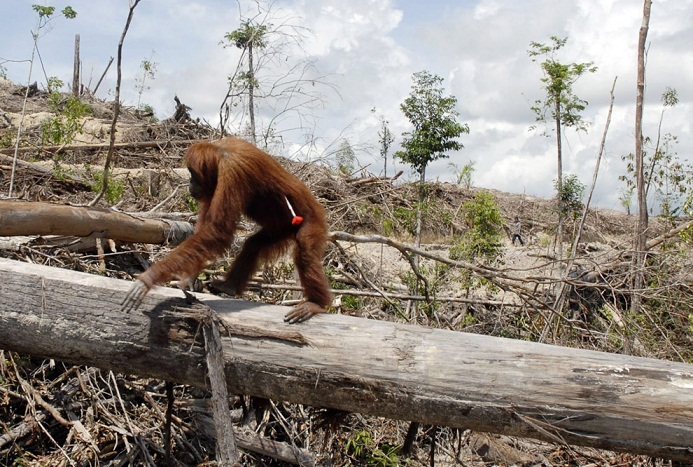 I have been working on a post about palm oil for the past two days. It was meant to be a lengthy, well researched post with plenty of citations. But I got too depressed in an existential, who-wants-to-live-on-this-planet-if-people-are-so-horrible kind of way. So, I’m just going to summarize and leave you some links. Indonesia, Malaysia and Columbia are destroying their rain forests to convert them into oil palm tree monocultures. The rate of deforestation is so rapid that many unique species are under very imminent threat of extinction. Critically threatened species include Sumatran and Bornean orangutans, Sumatran tigers, Sumatran rhinocerus and Asian elephants. The International Union for Conservation of Nature estimates that the Sumatran elephant has lost 69% of its habitat in the past 25 years. Some sources estimate that the orangutan may be extinct in the wild in 10-20 years, at which point I will have to be put on a suicide watch on account of that existential depression I mentioned earlier. I could go on and on about the horrors of the palm oil industry, but I’ll just give you the biggies. Palm oil is replacing trans fat in many packaged foods (cookies, frozen foods, some peanut butter), because it is relatively solid at room temperature and very cheap. It is not actually something you want to put in your body, as it is one of only two plant based oils that are high in saturated fat. That’s the fat that raises your cholesterol and can lead to heart disease. The other is coconut oil. So stop cooking with coconut oil, dear friend of mine. You know who you are. Heat wave and crazy storms got you worried about global warming? Deforestation means fewer trees to absorb carbon. Indonesia is not only clear cutting, but also burning their peat forests to make way for palm plantations. Burning peat = lots of carbon. One of the most alarming trends in Indonesian habitat destruction is that deforestation is happening even on protected wildlife areas. If you’re more moved by human rights than animal/ecosystem rights, there’s plenty to worry about there as millions of indigenous people are displaced. Most of the information about palm oil talks about the prevalence of palm products in food and soap. Until recently I never thought to check my makeup for palm oil. Sadly, it is in a lot of makeup, usually under the name ethylhexyl palmitate. The bad news is that ethylhexyl palmitate is used in Mac lipstick and some Mac eyeshadows. Urban Decay eye shadows do not contain palm products as far as I can tell. Oh, by the way, sodium lauryl sulfate and sodium laureth sulfate are derived either from coconut or palm. They are gross detergent chemicals that you should not put on your body anyway. Read your labels. A very small amount of the palm oil on the market is certified organic and sustainable. If you don’t want to let go of your favorite product and you think there’s a chance they are using sustainable palm, write to them. A friend of mine did this and was able to keep her favorite peanut butter and my friendship. She may still want to consider switching to a different brand, because she may as well eat peanut butter with lard in it. Palm oil and lard have about the same percentage of saturated fat. Gross, huh? I just found that out. Don’t take my word for it. 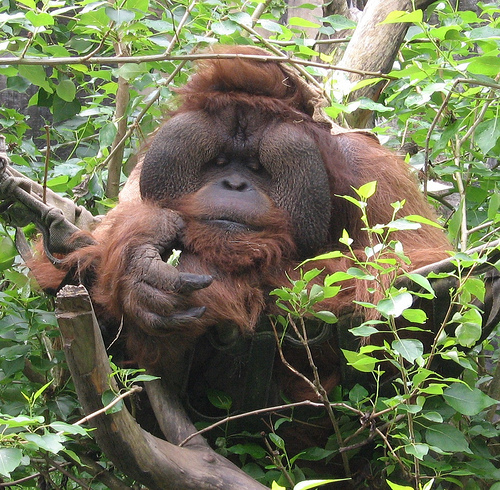 Click the links to find out more about palm oil.